Also has this ever happened? from the president to heads of other governments. I hereby resign the Office of President of the United States. might have committed while President. of the Secretary of State." I just need a small clarification. 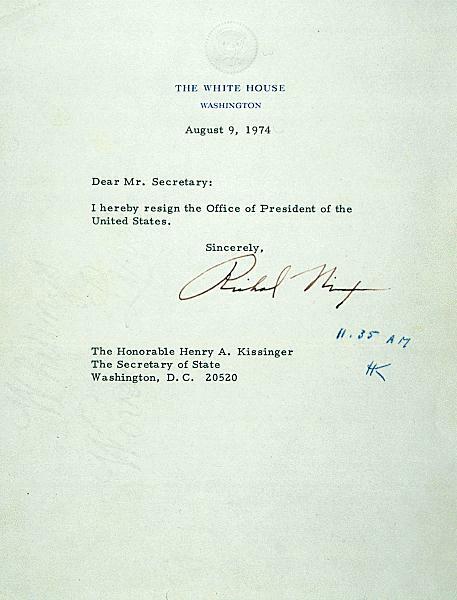 As of course you have pointed out Nixon was the only person to resign. ("I am no quitter") he would have completed his term of office. would be expected to go through? delivered to the Secretary of State. Thank you for the kind words, the five stars, and the generous tip. GA what it was, and I think that we shall not see its like again.